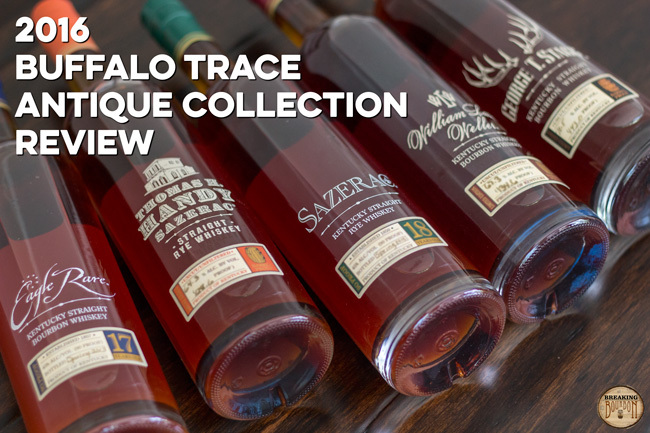 Each year Buffalo Trace releases the Buffalo Trace Antique Collection (BTAC), which represents a cross-section of American Whiskeys spanning a wide range of ages, proofs, and styles. In the bourbon industry, BTAC is widely revered as some of the absolute best and most highly sought after American Whiskeys released each year, setting the bar high for competitors as well as subsequent releases of each expression within the Antique Collection itself. While the expressions remain relatively consistent from year to year, each year’s vintage brings with it unique nuances relative to previous releases. Because demand for these whiskeys has greatly outpaced supply, bourbon enthusiasts frenzy to get their hands on these whiskeys each year. So just how does 2016’s Antique Collection fare? Our tasting notes and overall thoughts on each brand follow. Dry and arid consisting of cigar box, aged oak, dried leather, and a healthy dose of ethanol upfront with hints of dark chocolate and raisins layered in. Sweeter than the nose would lead you to believe, I am surprised that this seems to drink lower than the listed 126.2 proof. A healthy dose of rye spice along with raisins, honey, and toffee are all present. When directly comparing this to a 2014 Handy that I sampled this next to, I found the 2016 version to contain a more layered nose and more flavorful palate. Finish-wise, they both contained that familiar Handy heat which is exemplary of the brand. Compared to years past, I found this year's Handy to be one of the bolder and tastier releases in recent memory and look forward to drinking more of it in the future. Quite pleasant and inviting with hints of seasoned oak, vanilla, and dark fruits. 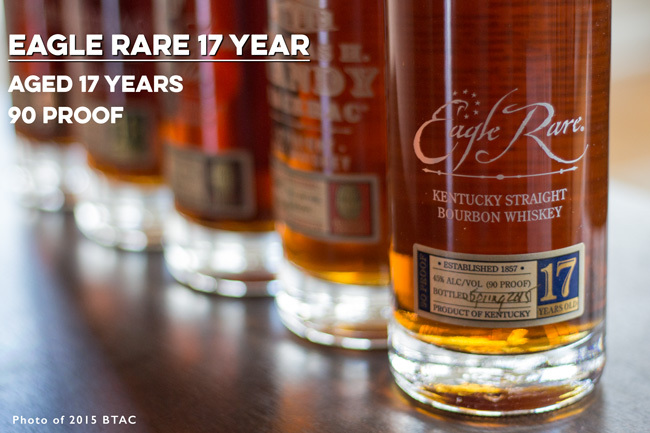 The Eagle Rare 17 Year brand has surprised me. Aside from this sample, I have one bottle open, a 2013 vintage. I didn’t particularly love it at first, but a few pours deep and its nuanced flavor profile has really grown on me. Additionally, about a year ago I had a flight of all five Antique Collection bottles, varying years. The Eagle Rare 17 Year was a 2009 vintage, and to my surprise the most enjoyable pour of the bunch. Now I would typically list Eagle Rare 17 Year as my least favorite bottle of the Antique Collection, but for whatever reason it seems to have really hit the spot on a number of occasions and if I had to make a general list, not specific to vintage, Eagle Rare 17 Year might be somewhere in the middle. 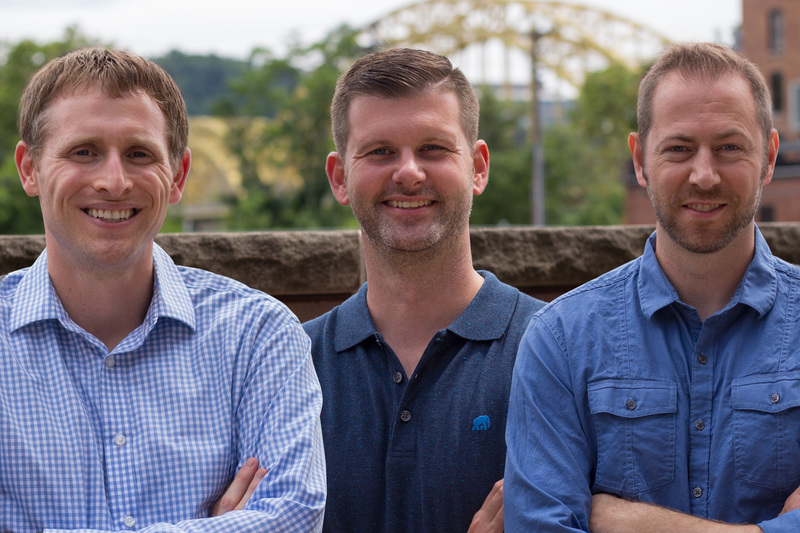 For being a 144.1 proof, I’m surprised by how tolerable this nose is. Don’t get me wrong there’s a big dose of ethanol that dominates much of the nose, but not much more than was found in this year's Thomas H. Handy release. Hiding behind the ethanol is burnt caramel, toasted oak, and a hint of toasted marshmallow. A big smack to the face as the palate brings you right back to the realization that you’re drinking a 140+ proof bourbon. On first sip, heat, heat, and more heat dominate the palate. This is also where you begin to notice the age of this year's Stagg as heavily charred oak, aged leather, and caramel mix with a touch of vanilla. 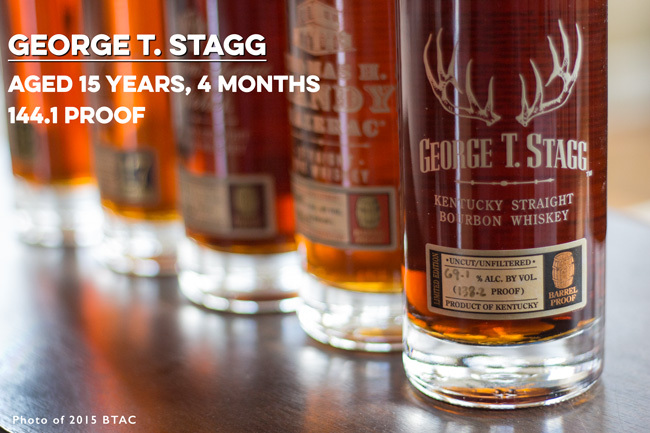 The bourbon world was abuzz when Buffalo Trace announced they would release another 140+ proof version of Stagg. Whiskeys in excess of 140 proof are commonly referred to as a “hazmat”, due to the fact that it’s against the law to pack in your checked luggage when flying due to the high alcohol content qualifying as a hazardous material. Additionally, with so much of this year's Stagg lost to the “Angel’s Share”, expectations were high to taste a bourbon that lost so much to evaporation while aging in the barrel. Unfortunately, I feel that this year's Stagg just didn’t meet expectations. Even adding a few drops of water did nothing to tame the nose, however it did slightly sweeten the palate and the backend of the finish ever so slightly. The heat is incredibly dominant, and while that is to be expected with a 144.1 proof bourbon, combined with the fact that it tastes over-aged and over-oaked results in a less than stellar experience. While still good, this year’s Stagg is certainly not the best tasting Stagg released in recent years, falling far short of what has become expected of the brand. Delicate notes of gingerbread, vanilla, and baking spices overlay a slightly more potent bed of oak. The caramel notes are a bit more robust than needed, and that might have a lot to do with the nose being a bit more pedestrian than previous years. 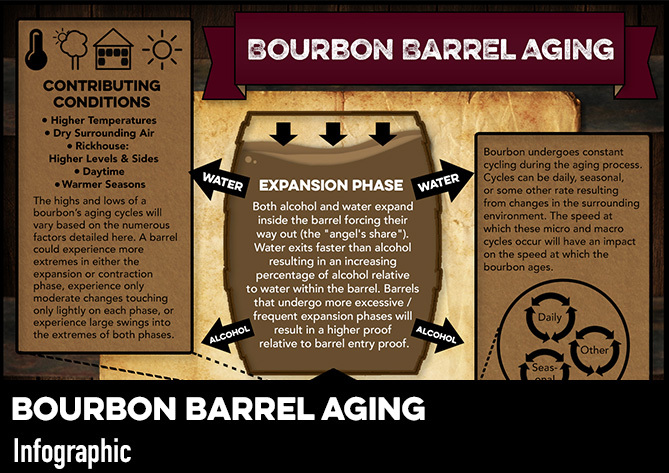 It’s far from unique and has many similarities with the majority of rye whiskeys on the market. The boldness of the palate mellows and gives way to a gentle cinnamon aftertaste. Even further on the backend the cinnamon combines with spice notes and turns it into a mild “Red Hot” fireball aftertaste. Overall drier and spicier than previous years. Wonderfully rich and warm, with notes of cinnamon, baking spices, and plum. Not overly complex, but enough scents are present and they’re represented well. Just the right amount of oaky base helps round out the nose. Molasses, dark cherries, dark chocolate, and vanilla all blend together to create an enjoyable burst of flavor. Its sweetness is offset by its oak barrel influence and its thick mouthfeel makes you think at times you can chew it. Just the right amount of complexity and drinkability. While all still good whiskeys, the majority of expressions in the Antique Collection are noticeably lower in quality this year relative to recent year’s past with a standout emerging. 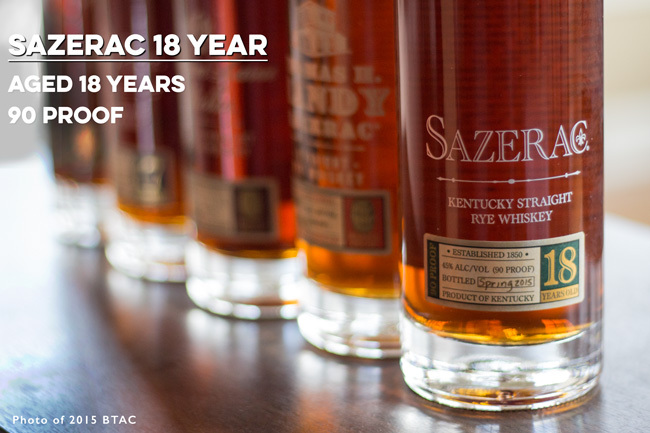 ‍Following year upon year of drawing down from one of the most legendary batches of American Whiskey we’ve ever experienced, the most notable degradation for 2016 is Sazerac 18 Year, the first year of Buffalo Trace’s new distillate batch. Bringing with it a more bold flavor profile than previous releases, the incredible subtleties of the brand are unfortunately lost in this year’s bottling. While still good bourbons, Eagle Rare 17 Year and George T. Stagg also prove to be letdowns, though if past experiences are any indication air time in the bottle should allow them both to improve over time. 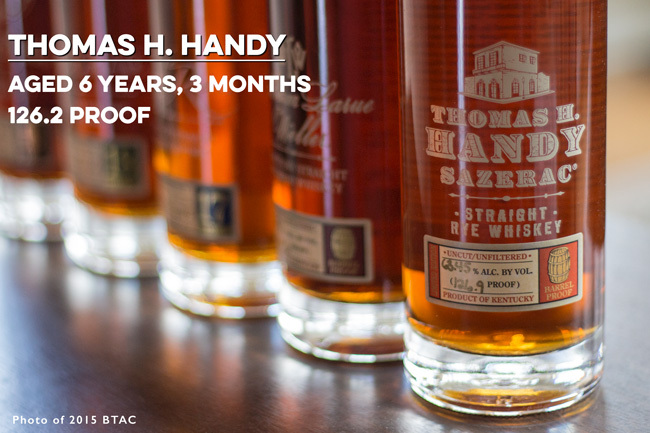 Thomas H. Handy, which inspires a wide range of opinions as it’s a younger rye with a more robust flavor profile, holds its own with a solid showing in 2016. 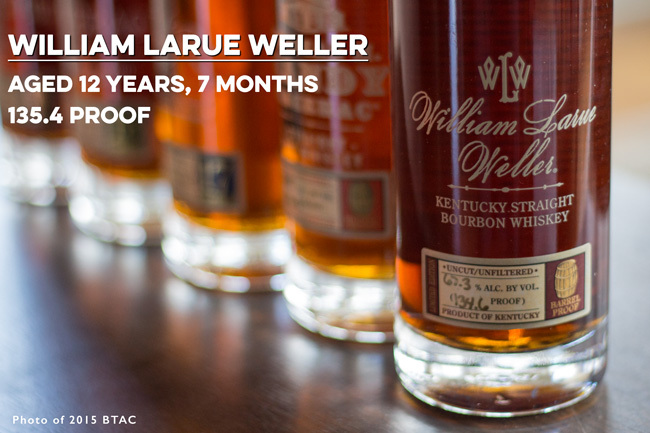 Finally the standout: William Larue Weller. 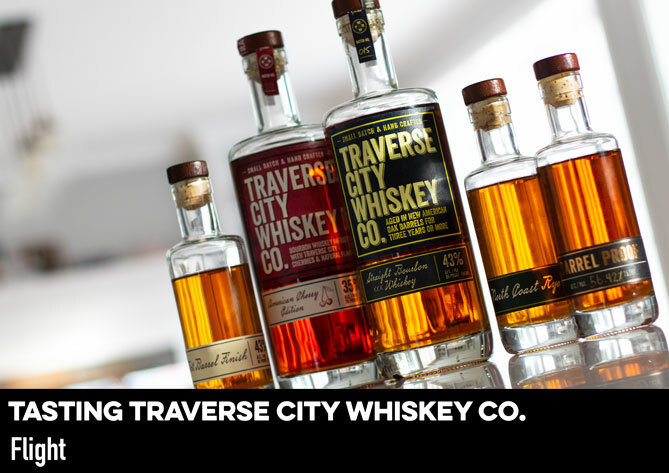 It has a flavor profile that’s rich, balanced, and not overpowered by alcohol, resulting in a standout release for the brand. Fortunately for consumers, William Larue Weller saw a substantial increase in bottle production in 2016 to approximately 13,420 by our estimate, a 5,640 bottle increase over 2015. If there is any expression to seek this year, it is hands down William Larue Weller.